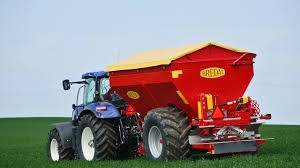 This spreader has a standard capacity of 6.600 litres. 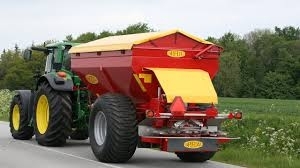 K85 spreads lime up to 16 m and fertilizer up to 36 m.
The standard version of the spreader is fitted with a mechanical wheel drive that ensures efficient and precise control of the dosage. 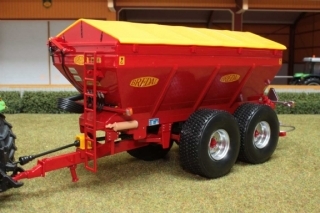 The wide-angle PTO drive shaft and LED lights are standard as well. 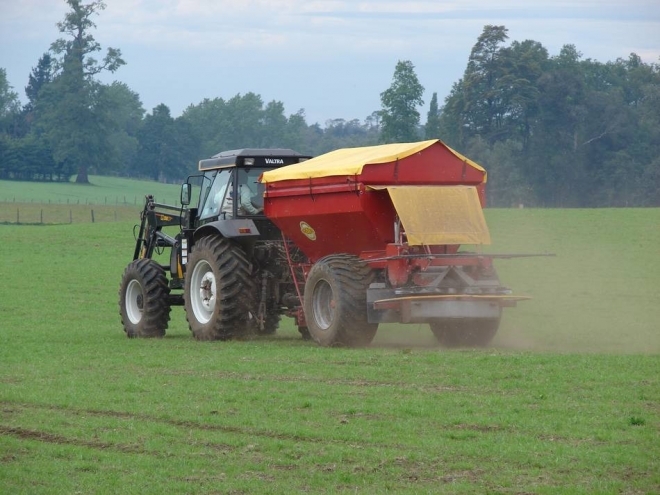 There is an extensive line of additional equipment for the spreader that makes for great versatility; included is equipment for spreading salt and sand, a 4 m conveyor belt for filling ditches with sand or similar material. 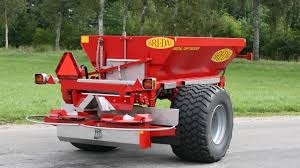 With its robust and reliable design the spreader will give you many years of hard work, and the strong belt transmission that operates the 2 spreading plates and the many standard stainless steel parts contribute to a long life at top performance.